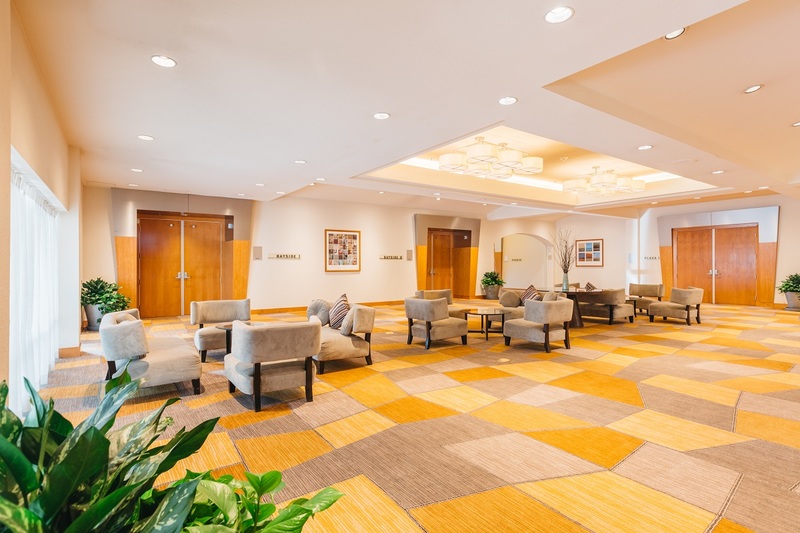 When planning a meeting or a private event near the San Francisco International Airport (SFO) there is no better venue than the Crowne Plaza San Francisco Airport. 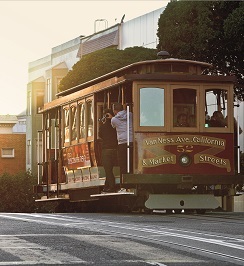 Located just three miles from the terminals at SFO, your meeting venue is a quick drive or shuttle ride for out of town guests. 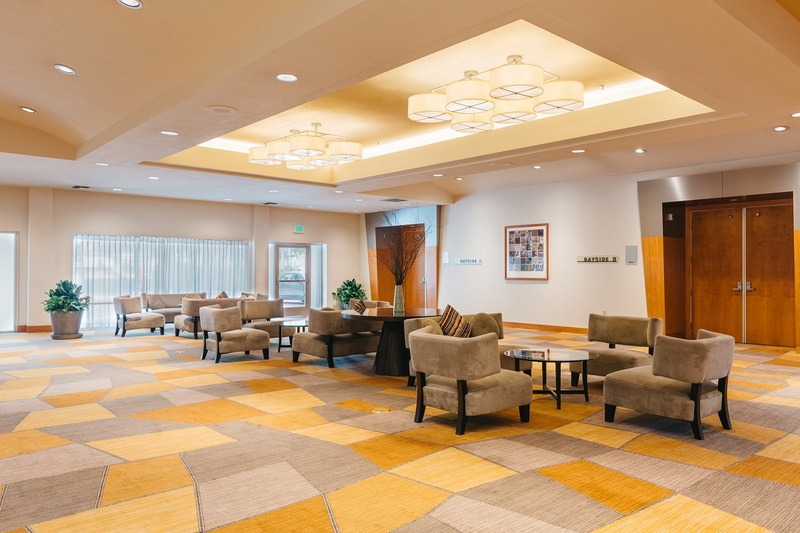 With ample space to suit a variety of needs, you will easily find the ideal space for your meeting near the San Francisco Airport. 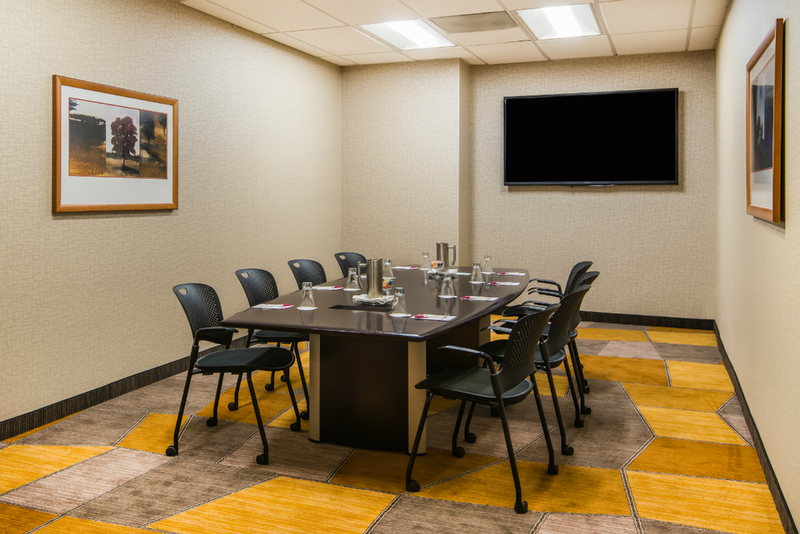 Whether you need space for a board meeting, strategy session, conference, or even a holiday party you are bound to find everything you need at the Crowne Plaza San Francisco Airport! Select the ideal meeting package for your next event with a selection of exclusive special additions when you add food and beverage options to your meeting. Each tier of the package allows you to pick three bonus perks plus three more perks from each tier above it! *Wine and Cheese Reception only applicable for groups of up to 100. 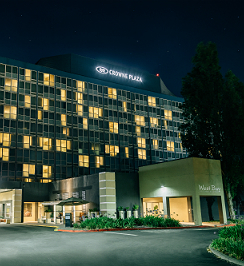 When you reserve the meeting space at the Crowne Plaza San Francisco Airport you will experience the high-touch dedication you require in order to host a successful event. 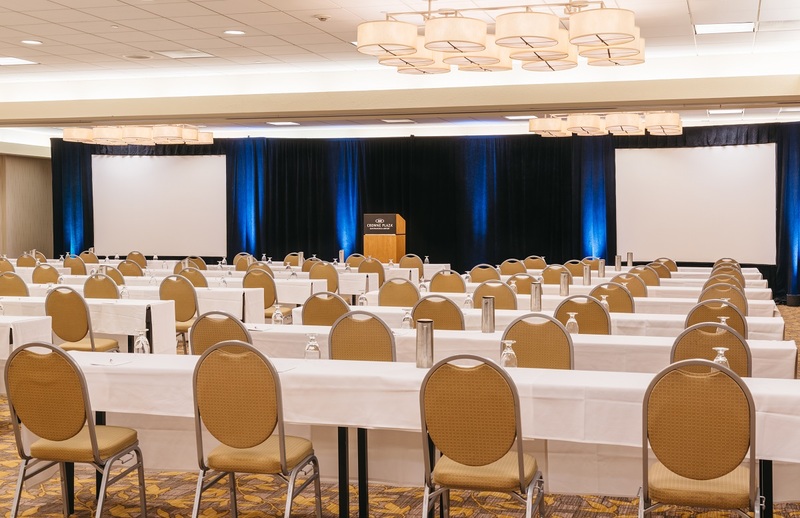 A Crowne Plaza Meetings Director will work with you on every step of the planning process to ensure that your event is executed smoothly and without a hitch. 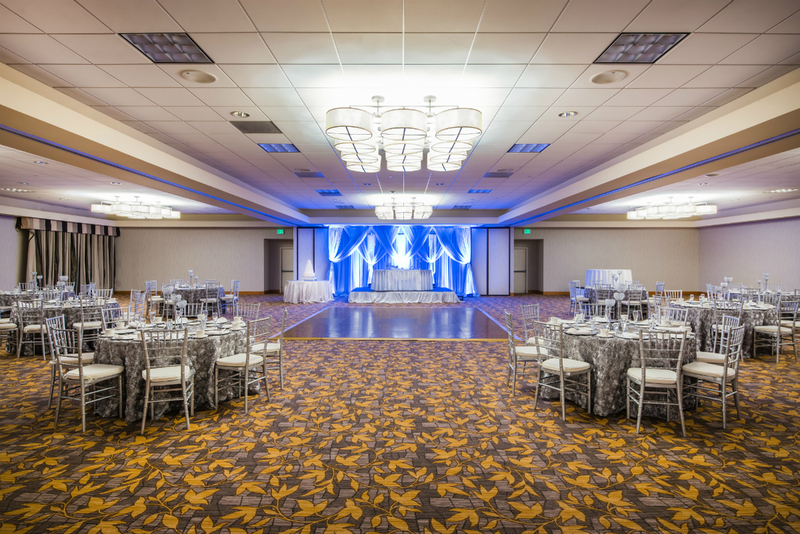 Our dedicated event staff will help you select the ideal space for your needs, and help you choose the table layout that works best for you. With years of experience in event planning, we can ensure that the table settings, the décor of each room, your catering options, and any A/V equipment needs are handled with care and expertise. 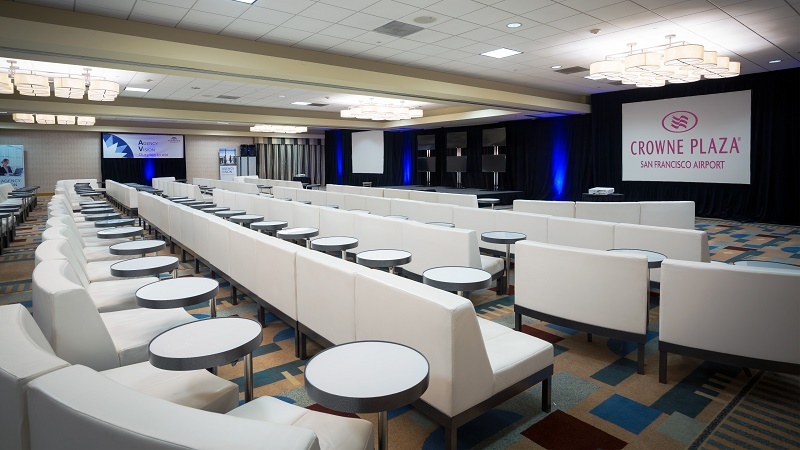 The Crowne Plaza San Francisco Airport Hotel has partnered with Audio Visual Resources, a local audio-visual equipment provider to provide state-of-the-art A/V equipment and services to groups and meetings happening near SFO. Whether you need full audio equipment or a few meeting aids to make your presentation pop, we've got you covered. Get in touch with our capable staff of event planners and organizers today and start preparing for the event of the season. 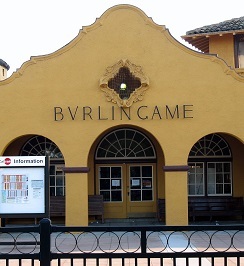 We will work with you every step of the way to help you find the ideal space to suit your needs.  Submit an RFP today!